After watching this video and thinking to my self, "That explains a lot about the outfits I see in eastern style games *while imaging things like bikini armor*." It got me thinking what will be the options for out pilots to wear in Em-8er? As for myself, personally, I tend to lean more towards form and function over fashion. Everything wear in real life has a use, even if it is not obvious to most other people. For example, I'll wear a belt not to keep my pants up or because it looks good but because I can use a belt as a tool. Like using belt as a weapon when in a fight because a good number of "normal" people don't know how to fight back against someone counter-attacks by tying them up. Or using it as way to get food and water and start a fire if I'm ever lost in the wild. That and the fact that you eat leather in survival situations if all else fails. *Remembers the stories of people lost at sea having to eat things like their leather shoes to survive*. But Em-8er takes place in the future so I would like to have cloths that is also reactive armor (a type of flexible armor that can become soft or hard as needed to stop an incoming force) with some basic life support systems built into it just in case my Omniframe breaks down in a snow storm on the toxic ice planet that is Em-8er. So what are wants for your pilot to wear? Are all about form and function or all about fashion? Are you a minimalist or a extravagant peacock? Given how 3D printers do exist, it wouldn't be to hard to make any type of cloths or armor you wanted. I like your perspective but I wouldn't use it for more than fashion. Hard driver mode for my frame due to being a heavy and I would like either an Outlander Mad Max type outfit or a mercenary style. Not as conformed as a soldier but still a noticable identification. I like how it comes in various styles and patterns its as closed to the G-suit as possible! Winter snowboard style fashion and funky colours with neat helmets and goggles! I like the gear and glowing parts and the tattoos that go well with the outfit. The chroma collar edge and sleek coats with even hoods. For my characters I prefer simplicity. I love variety but in the end I only really choose one or two things that draw attention or add a sense of personality and that's about it. I don't typically scramble for endgame gear skins as I do not often perceive them as visually practical. When I create a character I often choose a non-obvious face scar or tattoo just to make the character not so generic; perhaps the tattoo design blends well with facial features or gives some sort of roleplay bonus to how I expect to play a character. Clothing is similar; simplicity. Perhaps one or two pieces that flair a little yet are appropriate to the role the character fills. I'm not particularly a fan of armor with pointy edges or flashy particles; just practical. So for example with the image blow. I would modify the face to have a more happy disposition and keep the tattoo, more hair but may keep the color. Lose the chest tattoos and put on a shirt maybe with emissive color seams or design but faint enough not to draw significant attention (ideally to match the computer pad screen on the belt). Keep the jacket, pants, boots, and knee guards. And likely add some large blue or glowy-orange glasses or visor that blocks seeing the character's eyes [like these but not see through] but the visor need to be small enough that some of the tattoo is still visible on top and bottom. 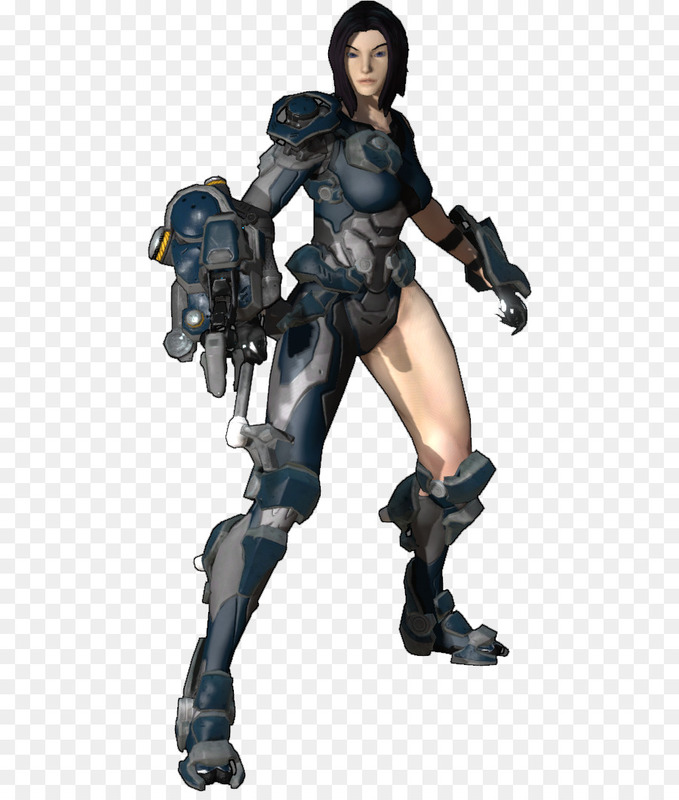 Some asymmetry is also good but I do not find clothing and armor pleasing when the entire set is asymmetrical. The armor pictured below is the subtle asymmetry I prefer. The asymmetry is really only in the lower half with the color and physically whatever utility belt he has around his shoulder. Tp me, the asymmetry in the color implies history or purpose and does not remove any sort of practicality to the armor as a whole. But when I see armor that only protects 1 leg or 1 half of the body...it just doesn't jive with me. Makes me feel like the character is lopsided or going to tip over. For head wear I would like to have a helmet and/or face mask with an open and close or on and off option with a key bind. To me, having such a option only makes sense because this what people do all the time in real life. I don't always where my headphones on my head, I often place them around my neck when not using them. I don't always fully take of my sunglasses when not using them but I push them up so they set on my forehead. And some people who hats with drawstrings will often just let the hat hang off the back of their neck when not wearing it on top of their heads. And think about people like doctors and stuff often never fully remove their face mask or gas mask but pull it down to hang off their neck. You get the idea, people will often take things off but not fully remove them. There because it allows them to put it back really fast and easy or because of their own personal sense of style. But there is not many MMOs with that option in them. And the few that do have that option in them it always adds just little bit of extra that element of realism and freedom to role playing. For example say my character runs over to someone trying to help them but they are confused and/or scared do anything. I press the button my character opens his helmet or removes his face mask to show that he is not an enemy. After helping the person I press the button again to close my helmet or put back on the mask before charging back into battle. I remember one time in a game because few friends and I had on the same outfit (we called it a guild combat uniform) as way to confuse other players in PvP with our guerrilla warfare tactics, only way to quickly tell up apart was when we opened the face plate on our helmets. With that said I would like to have a sniper helmet with a full face where extra sensor gear is a kind of visor that look second pair of eyes on my forehead when not in use. But when I go into recon or sniper mode the visor slides on over my eyes as I link with say an orbital satellite or long range targeting drone. You get the idea, people will often take things off but not fully remove them. There because it allows them to put it back really fast and easy or because of their own personal sense of style. even lighting up the tattoos perhaps. For example say my character runs over to someone trying to help them but they are confused and/or scared do anything. I press the button my character opens his helmet or removes his face mask to show that he is not an enemy. After helping the person I press the button again to close my helmet or put back on the mask before charging back into battle. Also you can scan their face and put them in the data base for friend or foe and see those who are making funny faces too! The holographic helmets remind me of Daft Punk. But that is ok, I kind of like their music and movies. As for the helmets and face masks that have the ability to open and close or fold up all by themselves it is just kind of a given in sci-fi now at days because it just makes sense. If you are on a space ship or some other place where there is a chance that the environment can become hostile to human life at a moments notice. As part of basic personal safety everyone on the ship, or station, or base would also have some kind of personal life support system on them at all times in case of emergencies. And if you are in outer space, underwater, toxic atmosphere, and/or extreme heat or cold odds are you would also want to wear a helmet. But given how it would not be easy or comfortable for most people walk around with a full sized helmet all the time, having the helmet do things like fold up makes so they can wear it or carry it all the time without it getting in the way of normal everyday life. And the same can be said if you are in a place or culture where a battle or war can break out at any moment. In one game I play their is a fairy who follows me around and helps out in battle by randomly healing me or giving me a buff. Although she is part of the reason why I get into fights in the first place, but that is besides the point. In that game every month and big event the devs will often get her a new outfit to wear. This is because despite her not being a playable character in the game we can still dress up her up to change how she looks and sometimes acts in battle. For example, dress her up like a cheerleader and she'll dance around and cheer for you in battle. Or dress her up like a warrior and she might start to mock the enemies and you based on her mood. As the outfits you give her can and do change her personality outside of plot related cut sense. Plus in another game I play one of my pets is a dog with a strong spiritual bond to my main character. So when my main character uses the ability to summon holy knight armor onto their body if my dog is in the party too at the same time it'll also get a set of holy knight armor for dogs to wear. There is a time limit on the armor because of massive buffs it gives to basic stats with about a 30 min cool down time. This only happens when I play with my main character because my alt characters on that account are all of different races or alinements so they can't use that ability and dog will not transform for them even if they summon their own race's or class armor holy armor because they are not drawing power from the same goddess as my main. Also pets are shared across all characters on the same account. It is super helpful given how most pets also have their own inventory space so can act as a way to move things around between characters on that account. You get the idea, people will often take things off but not fully remove them. There because it allows them to put it back really fast and easy or because of their own personal sense of style. But there is not many MMOs with that option in them. And the few that do have that option in them it always adds just little bit of extra that element of realism and freedom to role playing. Diablo III uses transmogs for allowing you to change your appearance, while wearing the armor that gives you the best benefit for your character. But you cannot "hide" or "remove" them without actually removing the item off of your character. Dauntless allows players to choose to hide or show their "Helmet" in the Options menu. Although no other pieces have that option. For the "Helmet", players can choose to always hide, only show in Ramsgate (main hub), only show on the islands (area to hunt behemoths), or always show. The other option on Dauntless are transmogs. Players can make their helmet look like any helmet or head cosmetic they own in-game. They've added different head cosmetics such as: antler headbands, tiaras, jingle bells, and hats; some of which also have a different hairstyle, as a "helmet". True. But I was thinking more along the lines of games like Mabinogi where there is a key binding for you to open and close helmets or pull hoods up and down on things like robs. You don't actually take them, hide them, nor change how they look. But rather you are just moving parts of it around like opening and closing an umbrella. Here is one example from Mabinogi, where as you were the helment you can freely left up and pull down the face guard any time you want. D.Va with D.Va dog for the win! could they be a way to charge certain things such as torches integrated to the suit instead of holding a torch.